A bit of irony popped up this week in the wake of approval of $151 million in awards by the California stem cell agency. One of the awards was $20 million to StemCells, Inc., of Newark, Ca., which is also fighting hard for another $20 million from the state research enterprise. However, back in 2008, Kenneth Stratton, general counsel for the firm, put some distance between his company and the agency, which is handing out $3 billion in toto. "We will take CIRM money last. We don't want to be in a position where, years from now, we are actually forced to sell [our products] in California at a loss." Times have changed for both the company and CIRM, which is in the process of altering the intellectual property rules that offended Stratton in 2008. The changes were due to be approved last Thursday, but action was put off by the CIRM board. It was overwhelmed as it dealt with the record pace of appeals by researchers who were scrambling to overturn negative decisions by grant reviewers. StemCells' application for another $20 million is one of those being appealed. The board will take it up again in either September or late October, after it undergoes additional scrutiny by the agency. CIRM is touting its IP changes as being more friendly to business. They also can be made retroactive to cover awards to business made in the past. CIRM directors expect to meet by telephone, probably in August, to approve the new IP rules. $151 million in research funding approved by its board yesterday. Both the San Francisco Chronicle and The Sacramento Bee carried solid stories on the grant awards. In the case of the Chronicle, the story included compelling photos of patients who spoke during emotional, tear-filled presentations. The stories represent a modest change from the past, when media outlets all but ignored the agency's awards. “For Melissa Biliardi of Santa Maria, the (CIRM board) vote symbolizes hope. Her son, James Birdsall, 32, was diagnosed four years ago with Huntington's disease. The degenerative brain disorder could prove fatal over the next 10 to 15 years. There is currently no cure or treatment, but with the grant, UC Davis researchers hope to deliver an effective therapy in four years. The articles demonstrated the effectiveness of patients and patient advocates in telling the CIRM story. Reporters are always looking for a warm human dimension – especially to enhance a dry, bare-bones science and government story. The KQED show, which was also carried nationally on Sirius radio, consisted of an hour-long look at CIRM, with some calls from listeners. Guests on the show were CIRM President, Alan Trounson, UC Davis stem cell researcher Jan Nolta and yours truly, David Jensen. Other stories appeared in the SanFrancisco Business Times and Genetic Engineering News. The Bee's story appeared in the Modesto Bee as well. Directors of the California stem cell agency today referred two additional research applications for $37 million in disease team funding back to reviewers for further consideration. Both were the subjects of appeals by researchers whose proposals were rejected by grant reviewers. Directors of the California stem cell agency approved an additional $20 million disease team grant today before adjourning their meeting. The grant brought the disease team round to a total of $151 million. The award went to Judith Shizuru of Stanford. Scientist Irv Weissman and Robert Klein, former chairman of the stem cell agency, both spoke on behalf of her appeal of a negative decision by grant reviewers. At the suggestion of the current board chairman, J.T. Thomas, the board placed conditions on the grant would stipulate Stanford pick up certain unknown, additional costs if necessary. Here is a link to the CIRM press release on today's action. Directors of the California stem cell agency today approved $151 million in research awards aimed at commercializing stem cell research and pushing therapies into clinical treatment. Patients and researchers cheered when the action was announced. The awards of up to $20 million each were ratified by CIRM's governing board, which added two to the six applications approved by reviewers. The original six totalled $113 million. Directors budgeted $243 million for today's round. Five of the applications involving appeals were sent back by the board for more review. (See here, here and here.) They will be considered again in early September or October. The awards are the second largest research round in CIRM's history, surpassed only by an another, earlier $211 million “disease team” round. The latest effort is aimed at bringing proposed clinical trials to the FDA for approval or possibly starting trials within four years. That deadline coincides roughly with the date when CIRM is scheduled to run out of cash unless new funding sources are developed. CIRM is currently exploring seeking private financing. It could also ask voters to approve another state bond issue. (Bonds currently provide the only real source of cash for CIRM.) In either case, the agency needs strong, positive results from its grantees to support a bid for continued funding. Today's action came after nine out of the 15 applicants who were rejected by reviewers appealed the negative decisions. Two of the appeals were successful at today's meeting. It is a good bet that at least some of those referred for more review will be ratified by the board in September. The appeals were based on a variety of issues, ranging from technical science questions to inconsistencies in CIRM's research approaches and mistakes by reviewers. The outpouring of appeals was the largest in CIRM history in terms of the percentage of applicants seeking to overturn reviewer decisions. The round also marked another first in terms of the total initially approved by reviewers. On occasion in the past, reviewers have not approved enough awards to consume all the funds budgeted by the CIRM board. But never before has the amount fallen so far short. The full list of the winners and the CIRM press release can be found here. The governing board of the California stem cell agency this afternoon approved a $5.7 million grant to lure a Harvard researcher to the University of Southern California in Los Angeles. The scientist is Andrew McMahon, who serves on the executive committee of the Harvard Stem Cell Institute. CIRM officials said McMahon is ready to begin his work immediately at USC. The California stem cell agency today cleared the way for approval of an $18 million grant to develop a new cell-based therapy for treatment of ALS. The agency's governing board moved the application into a category that is expected to approved later today. The action came on an appeal by researcher Clive Svendsen of Cedars Sinai. Also supporting the application were a number of persons with ALS. Two California stem cell firms today won a reprieve from rejection in their bids for $40 million in funding from the California stem cell agency. They are StemCells, Inc., of Newark and Capricor, Inc. of Beverly Hills. StemCells was founded by Stanford researcher Irv Weissman. Capricor was formed to commercialize research at Cedars of Sinai that had been previously financed in part by the state's $3 billion enterprise. Frank Litvack, who unsuccessfully vied for the chairmanship of the stem cell agency in June 2011, is the recently appointed executive chairman of Capricor. The CIRM board sent the firms' bids back for more scientific review based on their appeals of reviewers' negative decisions as well as testimony at the board meeting today. The board will take up the applications, which seek $20 million each, again in early September. The other application also involved new information. Litvack, former CEO of Conor Medsystem, told the board the firm has made considerable progress since CIRM's closed-door review of applications last April, both in terms of management and science. The firm's appeal said Litvack's appointment is part of the management improvements at the firm. Directors of the California stem cell agency today deferred action on a $20 million proposal that was rejected by its grant reviewers and sent it back for more consideration. The board approved more review for the application after it was disclosed that a company issued a press release two days ago that showed that a drug involved in the proposal was more effective than reviewers believed. Philip Pizzo, a member of the board and dean of the Stanford medical school, expressed caution about the press release, given its timing and source. His comments came prior to the appearance of the parents. The application is scheduled to be brought back to the full board in September for further action. California stem cell agency chairman J.T. Thomas has raised the possibility of sending some of the disease team applications back for additional review if the board feels that is necessary to consider new information and resolve scientific disputes. Thomas discussed such a move at the beginning of the discussion of the $243 million disease team round. Nine out of 15 rejected applicants have appealed to the full board. Some have presented new information. Others have disputed the scientific work of reviewers. The board used such a referral process for one application in the past. That grant was ultimately approved. The California stem cell agency will continue to be funded with short-term borrowing -- commercial paper -- provided through the state treasurer's office, J.T. Thomas, chairman of the agency's governing board, said today. Until late last year, the $3 billion agency was funded through state bond funds, but California Gov. Jerry Brown is trying to reduce the state's long-term debt load, which has skyrocketed in the last decade. Thomas told directors this morning that short-term funding comes at "the lowest possible interest rate." He said the arrangement leaves the agency in "very good shape." The state will provide the funding to CIRM on a month-to-month basis in addition to providing a two month cushion, Thomas said. had $50.9 million on hand, down $42 million from April 30. During the fiscal year ending June 30, the agency paid out $232.7 million compared to $201.4 million in the previous fiscal year. The California Stem Cell Report will provide gavel-to-gavel coverage of today's meeting of the governing board of the $3 billion California stem cell agency. Among other things, the board is scheduled to give away anywhere from $113 million to $243 million to help push research into the clinic. Stories will be filed as warranted, based on the Internet audiocast. Instructions for listening directly to the audiocast can be found on the agenda. The meeting is scheduled to begin at 9 a.m. PDT in Burlingame, Ca., with remote teleconference locations in Los Angeles, La Jolla and Pleasanton. The public can participate and comment from those locations. Addresses can be found on the agenda. Grant reviewers have delivered a harsh message in the latest $243 million research round at the California stem cell agency – at least that is one way to look at it. In effect, they told the governing board of the $3 billion enterprise that the overwhelming majority of applicants in its signature disease team round do not measure up, despite the fact that CIRM had early on partially vetted their efforts. Indeed, the reviewers said that the researchers deserve only $113 million instead of the full $243 million that was budgeted. Obviously the results of the review can be interpreted in other ways as well. But the review outcome should raise some flags within the stem cell agency and its 29-member board, which meets tomorrow in Burlingame. It may not auger well for future rounds that also involve CIRM's newly energized drive to push research into the clinic. Or quite possibly the result of the disease team reviews could reflect a combination of all of the above, to one degree or another. Little is known about the substance of what goes on during the grant review process, aside from the staff-written review summaries. Even CIRM board members, who see only the summaries, have complained from time to time about not having enough information to make a good judgment on an application. Reviews are conducted behind closed doors. Information about the economic and professional interests of reviewers is withheld from the public by the stem cell agency. Here is a look, however, at what we do know. Initially the universe of applicants in this round totalled 36. That was the number that applied for planning grants for this round. Without a planning grant, they could not apply for a full $20 million award, with some exceptions. The exception process was controlled by CIRM President Alan Trounson, not reviewers. CIRM used the planning grants and the exception process not only to assist applicants but to winnow out weak applications. In the past, reviewers have sometimes not approved sufficient applications to consume the entire amount budgeted for a round. But they have never produced a shortfall as great as in this case. It is all the more dramatic since this round carries a lot of weight for CIRM, which is pushing hard to commercialize research and fulfill at least part of the promises that were made to California voters in 2004 to win approval of creation of the stem cell agency. One reflection of the unusual nature of the round is the record pace of researchers' appeals of negative decisions by reviewers. At least nine of the 15 rejected scientists are willing to say publicly that something is is not quite right in the review process, ranging from missing facts to inconsistencies in CIRM's endorsement of particular paths of research. It is safe to say that CIRM directors tomorrow will pluck some applications out of the reject bin and increase the total awarded. But they should also examine the process to determine what generated this particular outcome. The Institute of Medicine, which is currently engaged in a $700,000 examination of CIRM, also might scrutinize this round with some care, given its size and importance to the California stem cell research effort. The stock price of StemCells, Inc., of Newark, Ca., has more than doubled this month following the publication of several “good news” stories about the company, including the virtual certainty that it will receive a $20 million loan tomorrow from the state of California. The company also could well receive $20 million more if its appeal on another award from the California stem cell agency is successful. All of which is to the benefit of Weissman, who acquired 15,433 shares of StemCells, Inc., on July 2 at no cost. According to SEC filings, the stock was given by the company to Weissman as a quarterly retainer for his services on the firm's scientific advisory board. Weissman also serves on the board of directors and currently holds 88,612 shares of the company. Here are links to recent stories on StemCells, Inc. The California Stem Cell Report will provide gavel-to-gavel coverage of tomorrow's meeting of the governing board of the $3 billion California stem cell agency. Among other things, the board is scheduled to give away anywhere from $113 million to $243 million to help push research into the clinic. Stories will be filed as warranted, based on the Internet audiocast. Instructions for listening directly to the audiocast can be found on the agenda. The meeting is scheduled to begin at 9 a.m. PDT in Burlingame, Ca., with remote teleconference locations in Los Angeles, La Jolla and Pleasanton. The public can participate and comment from those locations. Addresses can be found on the agenda. The California stem cell agency's latest grant round – which is budgeted for $243 million – has drawn an extraordinary and record outpouring of appeals from more than half of the scientists rejected by the grant reviewers. Only six applicants were approved for funding in the second of the agency's signature disease team rounds. Their applications totaled $113 million, although $243 million was allotted by the board, which would make it the largest in the agency's history. The round is aimed at bringing proposed clinical trials to the FDA for approval or possibly starting trials within four years. The rejected applicants come from both biotech firms and nonprofit institutions, including at least two that are ready to begin clinical trials next year, a much-sought goal of the stem cell agency. The appeals, posted late yesterday on the CIRM web site, deal mainly with the details of the research although they also say, in some cases, that reviewers did not grasp the facts or were dealing with information that is now outdated. Here are some samples of what the applicants had to say in their petitions. Marban noted that Frank Litvack, former CEO of Conor Medsystems Inc. of Menlo Park, Ca., is now executive chairman of the Capricor and will provide “experienced operational leadership.” In June 2011, Litvack was nominated to chair the CIRM board. However, directors chose J.T. Thomas, a Los Angeles bond financier who has filled that post since then. Henry Klassen of UC Irvine said reviewers “overlooked facts” in his application and “had no real way of gauging the extraordinary rate of our progress.” He said trials are already scheduled for next year, far earlier than time frames set up in the RFA for this round. In addition to the written appeals, scientists can appear before the full board at its meeting and often have. Sometimes they bring patients, who make emotional presentations. The board does not have to discuss any of the appeals. Unless a board member makes a motion on an appeal, it does not even come up for a vote. Directors are generally reluctant to approve an appeal. Here is a link to a CIRM description of the petition process. Here is a list of researchers appealing their rejections along with links to their appeals. The list is in the order in which CIRM posted them on the board agenda. The review summaries for all the grants can be found here. For more on the CIRM grant appeal process, see here. In the past year, since J.T. Thomas has served as chairman of the California stem cell agency, the $3 billion enterprise has done well in providing the public with important information about matters that come before its governing board – a welcome change from the grievously deficient past performance. However, that new, high standard for openness and transparency is coming up short this month. With less than three days remaining before Thursday's meeting of the governing board, important information remains missing on significant matters scheduled to be discussed later this week in Burlingame. At the top of the list is the response by CIRM President Alan Trounson to the first-ever performance audit of the nearly eight-year-old agency. The $234,944 study said the agency is laboring under a host of problems, ranging from protection of its intellectual property and management of its nearly 500 grants to an inadequate ability to track its own performance. Trounson's response could have come much earlier than this week, even last May when the results were unveiled publicly, although the agency had been briefed privately on them still earlier. Also missing from the agenda is an important update on what Thomas has called a “communications war” – shorthand for the efforts by CIRM to generate more and favorable news coverage of the agency along with solidifying support among its constituent groups. The agency's weak PR effort, which is now improving, has troubled many directors for some time. The CIRM story is critical to the agency's financial future as it looks to private funding to continue its life beyond 2017 when its money runs out. Also not be found is an explanation of an item before the directors' Science Subcommittee on Wednesday evening that appears to have interesting implications, given CIRM efforts to embrace the biotech industry more warmly. The proposal calls for establishing “responsible budgeting as a criterion for evaluating applications for funding.” No further information is available. But one wonders whether the proposal could reflect CIRM's unfortunate experience with Geron, which signed a $25 million loan agreement with CIRM last summer only to dump its hESC program a little more than three months later. Geron cited financial reasons. One also wonders whether the need to focus on “responsible budgeting” reflects problems with some researchers or whether it is intended to help businesses pick up a larger share of awards. Posting details on issues to be decided by directors -- in a timely fashion -- should be a routine matter for the agency. It is also key to engaging the public, industry and researchers – not to mention that it is good policy, good management and good government. Without adequate notice, it is impossible for interested parties to comment on proposals or make well-considered suggestions. Given the agency's improved performance during the past year, this month's slippage may only be an aberration. We hope so. Directors of the California stem cell agency are moving to spell out the roles of the players who make the de facto decisions on its $3 billion in research funding. This Wednesday evening in Burlingame, Ca., the directors' Science Subcommittee is scheduled to consider delineating the functions of members of the grant review group, also known as the Grants Working Group, along with CIRM staff in connection with grant reviews. Although the full CIRM board has legal authority to approve or reject grants, it almost never overturns a positive decision by the Grants Working Group on an application. The agenda for Wednesay's meeting contains the full text of the addition to the working group's bylaws, but it does not say why changes are needed in the reviewers' closed-door procedures. However, from time to time, CIRM directors have commented during their public meetings that it is not always clear to the scientific reviewers what the full process entails. Among other things, the bylaws addition spells out the role of the CIRM president, Alan Trounson, and other CIRM staff. It says the president can participate in discussions but cannot assign scores or vote. The president, however, has the top decision authority on grant pre-applications, which are a separate process. The new language makes it clear that the high-powered scientific reviewers can be expected, from time to time, to be asked by staff to explain themselves, or as the new bylaw phrases it, to “clarify their views or address specific issues in order to present a complete and useful” public review summary report to the CIRM governing board. The bylaw change also deals the roles of the eight patient advocates on the grant review group -- all of whom are also members of the CIRM governing board. They play a key role during “programmatic review,” an extremely broad-ranging process. The chairman of the CIRM Scientific Subcommittee is a patient advocate, Jeff Sheehy, who is also vice chair of the review group and plays the leading patient advocate role in the CIRM working group. Additionally, Sheehy, a communications manager at UCSF and nationally known HIV/AIDs advocate, almost invariably leads the full board discussion prior to action on grant applications. In addition to the meeting location, the public can participate in the session at a teleconference site at UC Irvine. The address can be found on the agenda. The concept proposal, expected to be approved at Thursday's CIRM board meeting, would fund as many as 20 grants and loans. Grants would go to nonprofit entities. Businesses would have a choice of a loan or grant, which carry different rules regarding intellectual property. “Research that results in a stem cell-derived development candidate (DC) to treat an unmet medical need where all necessary activities to move into IND-enabling preclinical development have been completed. The RFA is expected to be posted in September with funding in the summer of next year. The $3 billion California stem cell agency is changing the rules for how it handles its grants, ranging from research milestones and budgets to training programs and unspent funds. The memo said that the changes are intended to improve the 45-page grant administration policy and remove provisions that are hard for the staff or grantees to “understand and follow.” The memo said the changes were developed after input from grantees and others. Grant recipients and others seeking CIRM cash would be well-advised to examine the proposed changes, which are scheduled to be approved on Thursday at the board meeting in Burlingame. The modifications will then go into the state's administrative law process and are scheduled to go into effect in October. If you are looking to follow the money trail at the $3 billion California stem cell agency, next Thursday's meeting of its 29-member board of directors is a good place to start. On the agenda are revisions in its intellectual property rules, which are all about who gets paid and how much and when – should an agency-financed product generate significant cash. The key question about the proposed changes is whether they will generate an appropriate return for the state, given its $6 billion investment, including interest on the bonds that finance CIRM. The impact of the changes is not crystal clear. And the staff memo does not mention two important definition changes that appear to be quite business friendly. During the 2004 ballot campaign that created the stem cell agency, California voters were told that the state would share as much as $1 billion or more in royalties. Eight years later, no royalties have materialized since CIRM research has not yet resulted in a commercial therapy. At next week's meeting in Burlingame, directors will be asked to modify CIRM rules for royalties that CIRM staff said "could be a disincentive" for business. A staff memo said the proposals would alter provisions that create "administrative challenges and uncertainty." The memo asserted the proposed changes would ensure "a comparable economic return to California" equal to the existing provisions. However, the memo provided no explanation or evidence for how that result would come about. The proposed changes could also be applied retroactively with the agreement of CIRM and the grantee. Currently CIRM grantees and collaborators must share as much as 25 percent of their licensing revenue in excess of $500,000, depending on the proportion of agency funding for the product. The IP rules also contain a provision for payments in the event of development of a "blockbuster" therapy. The staff memo described how that would work. The proposed changes would exempt "pre-commercial revenues" from the state's revenue sharing, the memo said, in order to maximize the amount businesses can "re-invest in product development." The proportionality payment provision would be changed to require only 15 percent of licensing revenues if CIRM's investment is less than 50 percent and 25 percent if it is more than 50 percent. Revenue sharing would be extended to "commercializing entities." No definition of "commercializing entities" was provided in the board agenda material, but a June version of the changes defined them as "A For-Profit Grantee and its Collaborator or Licensee that sells, offers for sale or transfers a Drug, product(s) or services resulting in whole or in part from CIRM-Funded Research." "The proposed amendments re-strike the balance both to ensure that industry will partner with CIRM and to ensure that the State has the opportunity to benefit from successful therapy development." Board action next week will give the go-ahead for posting the proposals as part of the official state administrative rules process. They are subject to additional changes in that process. The agenda originally contained the full text of the changes. However, that material has been dropped from the board agenda. An earlier version can be found here and here. We have queried the agency about the reason for dropping the text in the board agenda. The stem cell lure item today incorrectly said the total of the two grants was $13.4 million. The correct figure is $12.4 million. Directors of the California stem cell agency next Thursday are likely to approve spending $12.4 million to lure a couple of stem cell stars to the Golden State. As usual, the $3 billion stem cell agency does not identify the potential recipients in advance of the meeting or the institutions that are recruiting them. However, if you have a modicum of knowledge about the specific fields involved, it is likely that you can identify them based on the information in CIRM's review summaries and some Internet searching. Last January, in a rare move, CIRM directors rejected a $6.3 million recruitment grant with a score of 76 sought by the Buck Institute, which is not represented on the board. The proposals are scheduled to be acted on at a public CIRM board meeting in Burlingame, Ca. Directors of the $3 billion agency are virtually certain to approve awards to three researchers at UC Davis, which operates its medical school and other research facilities in nearby Sacramento. The other three expected winners are from UCLA, Stanford and StemCells, Inc., of Newark, Ca., a publicly traded firm. The $113 million round is the second largest research round in CIRM's history, surpassed only by an another, earlier $211 million “disease team” round. The latest effort is aimed at bringing proposed clinical trials to the FDA for approval or possibly starting trials within four years. That deadline is close to the time when CIRM is scheduled to run out of cash unless new funding sources are developed. The CIRM board is scheduled to approve the latest awards one week from tomorrow at a public meeting in Burlingame in the San Francisco area. The agency's policy is to withhold the identities of applicants and winners until after formal board action. The California Stem Cell Report, however, has pieced together their identities from public records. Vicki Wheelock, UC Davis, $19 million, for development of a genetically modified cell therapy for Huntington's disease, an inherited neurodegenerative disorder. Scientific score 87. 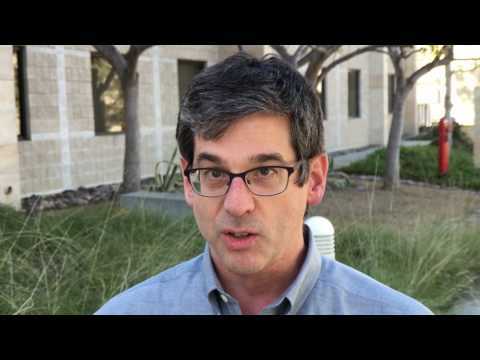 Antoni Ribas, UCLA, $20 million, for genetic reprogramming of cells to fight cancer. Scientific score 84. Nancy Lane, UC Davis, $20 million, for development of a small molecule to promote bone growth for the treatment of osteoporosis. Scientific score 80. John Laird, UC Davis, $14.2 million, for development of mesenchymal stem cells genetically modified for treatment of critical limb ischemia, which restricts blood flow in the lower leg and can lead to amputation. Scientific score 79. StemCells, Inc., (principal investigator not yet known), $20 million, for development of human neural stem cells to treat chronic cervical spinal cord injury. The company, founded by Stanford scientist Irv Weissman, who serves on its board, said earlier this year that it had filed two applications in this round, one of which dealt with cervical cord spinal injury. No other applicants filed a proposal for such research. Scientific score 79. Robert Robbins, Stanford, $20 million, development of a human embryonic stem cell treatment for end-stage heart failure. Scientific score 68. In the case of businesses, the awards come in the form of loans. Grants go to nonprofits. One of the reasons behind the varying mechanisms is the difference in CIRM's intellectual property rules for businesses and nonprofits. CIRM's Grant Working Group earlier this year approved the applications during closed door sessions. The full CIRM board has ultimate authority on the applications, but it has almost never rejected a positive action by the grant reviewers. The board originally allotted $243 million for this round. Directors could reach into the 15 applications rejected by reviewers and approve any of them, which the board has done in other rounds. In this round, three rejected applications scored within seven points of the lowest rated application approved by reviewers, which could lead some directors to argue that the scores are not significantly different. One of the three came from Alexandra Capela of StemCells, Inc., and was scored at 61. The other two and their scores are Clive Svendsen of Cedars-Sinai, score 64, for ALS research, and Roberta Brinton of USC, score 63, for an Alzheimer's project. Rejected applicants also can appeal reviewer decisions to the full CIRM board in writing and in public appearances before directors. Twenty-three researchers were eligible to apply for funding, CIRM told the California Stem Cell Report. Applicants qualified by either winning a related planning grant from CIRM last year or by being granted an exception to that requirement by CIRM staff. Of the 22 researchers who ultimately applied(one nonprofit dropped out), six came from biotech businesses. Three of those qualified through exceptions. Three other businesses won planning grants last year out of the eight businesses that applied. CIRM has come under fire for its negligible funding of stem cell firms and is moving to embrace industry more warmly. Only one of the grants approved by reviewers involves research with human embryonic stem cells, which was the critical key to creation of the California stem cell agency. California voters established the agency in 2004 on the basis that it was needed because the Bush Administration had restricted federal funding of human embryonic stem cell research.